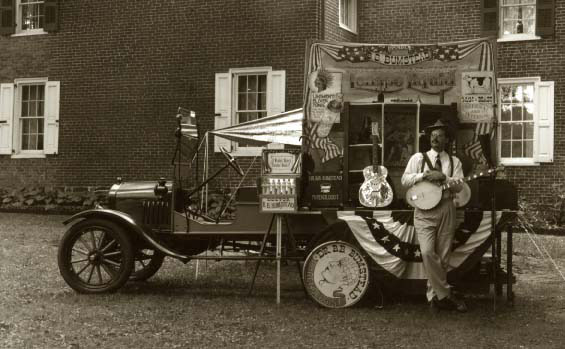 "I did thousands of medicine shows at festivals and historic fairs held by museums. All the props were antique or made by me in the same fashion. My degree in art school was musical instrument making. The medicine show was a way of marketing my performing and instumental skills."